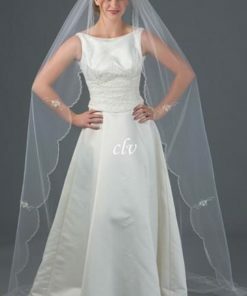 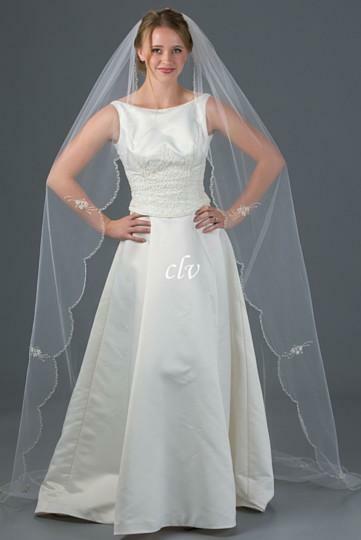 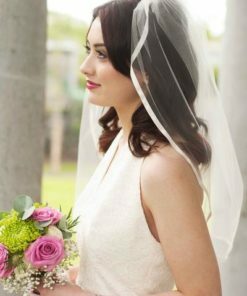 Kloe is our 90″ chapel length wedding veil with bugle bead and a scalloped edge. 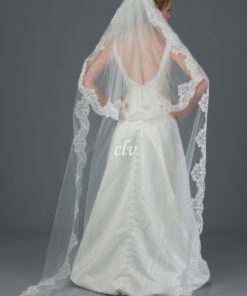 A long chapel length veil with a lovely look. 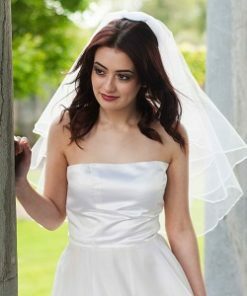 Unsure of which white color to choose for your veil? 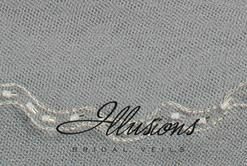 Purchase one of our swatch samples before you buy your veil.